For other uses, see Direct action (disambiguation). Mohandas Gandhi and supporters Salt March on March 12, 1930. This was an act of non-violent direct action. Direct action occurs when a group of people take an action which is intended to reveal an existing problem, highlight an alternative, or demonstrate a possible solution to a social issue. This can include nonviolent and less often violent activities which target persons, groups, or property deemed offensive to the direct action participants. Examples of non-violent direct action (also known as nonviolent resistance or civil resistance) can include sit-ins, strikes, workplace occupations, blockades, hacktivism, etc., while violent direct action may include political violence, sabotage, property destruction, assaults, etc. By contrast, electoral politics, diplomacy, negotiation, and arbitration are not usually described as direct action, as they are politically mediated. Non-violent actions are sometimes a form of civil disobedience, and may involve a degree of intentional law-breaking where persons place themselves in arrestable situations in order to make a political statement but other actions (such as strikes) may not violate criminal law. Non-violent direct action has historically been an assertive regular feature of the tactics employed by social movements, including Mohandas Gandhi's Indian Independence Movement and the African-American Civil Rights Movement. Direct action tactics have been around for as long as conflicts have existed but it is not known when the term first appeared. The radical union the Industrial Workers of the World first mentioned the term "direct action" in a publication in reference to a Chicago strike conducted in 1910. Other noted historical practitioners of direct action include the US Civil Rights Movement, the Global Justice Movement, the Suffragettes, revolutionary Che Guevara, and certain environmental advocacy groups. American anarchist Voltairine de Cleyre wrote a famous essay called "Direct Action" in 1912 which is widely cited today. 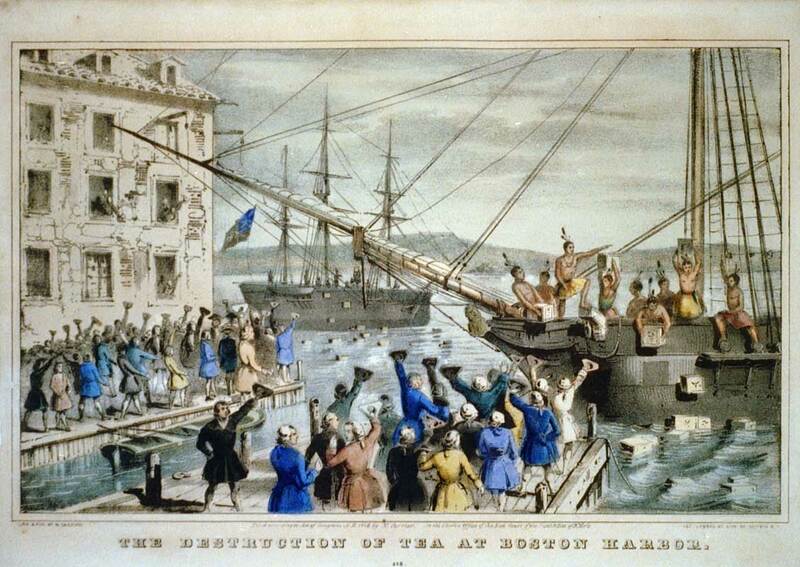 In this essay, de Cleyre points to historical examples such as the Boston Tea Party and the American anti-slavery movement, noting that "direct action has always been used, and has the historical sanction of the very people now reprobating it." Dr. Martin Luther King felt that non-violent direct action's goal was to "create such a crisis and foster such a tension" as to demand a response. The rhetoric of Martin Luther King, James Bevel, and Mohandas Gandhi promoted non-violent revolutionary direct action as a means to social change. Noteworthy, Gandhi and Bevel had been strongly influenced by Leo Tolstoy's The Kingdom of God Is Within You, which is considered a classic text that ideologically promotes passive resistance. By the middle of the 20th century, the sphere of direct action had undoubtedly expanded, though the meaning of the term had perhaps contracted. Most campaigns for social change—notably those seeking suffrage, improved working conditions, civil rights, abortion rights or an end to abortion, an end to gentrification, and environmental protection— claim to employ at least some types of violent or nonviolent direct action. Environmental movement organizations such as Greenpeace have used direct action to pressure governments and companies to change environmental policies for years. Direct action on climate change gained more support in the early 2000s in the United States after Nobel Peace Prize winner Al Gore urged young people to engage in direct action to stop the construction of coal plants. On April 28, 2009, Greenpeace activists, including Phil Radford, scaled a crane across the street from the Department of State, calling on world leaders to address climate change. Soon thereafter, Greenpeace activists dropped a banner off of Mt. Rushmore, placing President Obama’s face next to other historic presidents, which read “History Honors Leaders; Stop Global Warming.”  Overall, more than 2,600 people were arrested while protesting energy policy and associated health issues under the Barack Obama Administration. In 2009, hundreds blocked the gates of the coal fired power plant that powers the US Congress building, following the Powershift conference in Washington, D.c. In attendance at the Capitol Climate Action were Bill McKibben, Terry Tempest Williams, Phil Radford, Wendell Berry, Robert Kennedy Junior, Judy Bonds and many more prominent figures of the climate justice movement were in attendance. One major debate is whether destruction of property can be included within the realm of nonviolence. This debate can be illustrated by the response to groups like the Earth Liberation Front and Animal Liberation Front, which use property destruction and sabotage as direct action tactics. Although these types of actions are prosecuted as violence, those groups justify their actions by claiming that violence is harm directed towards living things and not property. The issue of whether sabotage is a form of violence is difficult to resolve in purely philosophical terms, but the use of sabotage as a methodology can be contrasted with minor property damage that is a small but necessary part of a non-violent campaign methodology such as breaking locks and fences to gain entry to a site. Violent direct action is any direct action which utilizes physical injurious force against persons or property. While groups such as Animal Liberation Front and Sea Shepherd claim that, US and international law include acts against property in the definition of violence and state that even in a time of war, "Destruction [of property] as an end in itself is a violation of international law". :218 Examples of violent direct action include: destruction of property, rioting, lynching, terrorism, political assassination, freeing political prisoners, interfering with police actions, and armed insurrection. ↑ 4.0 4.1 King, Martin Luther, Jr. (16 April 1963). "Letter from Birmingham Jail". http://abacus.bates.edu/admin/offices/dos/mlk/letter.html. ↑ “”. "Gore: 'It Is Time For Civil Disobedience'". YouTube. http://www.youtube.com/watch?v=3lIcdpq-5-c. Retrieved 2010-07-29. ↑ "First Day on the Job!". Grist.org. http://grist.org/article/2009-04-27-greenpeace-radford/. Retrieved 2013-08-09. ↑ "Greenpeace Scales Mt Rushmore – issues challenge to Obama". Grist.org. http://www.csmonitor.com/USA/Politics/The-Vote/2009/0708/greenpeace-scales-mt-rushmore-issues-challenge-to-obama. Retrieved 2013-08-09. ↑ "More activists arrested under Obama". RT.com (The Alyona Show). 24 May 2011. http://www.youtube.com/watch?v=MTgJEheQTlE&feature=share. ↑ Percy, John (June 2008). "Direct Action – two earlier versions". Revolutionary Socialist Party. http://directaction.org.au/issue1/direct_action_two_earlier_versions. Retrieved 15 June 2009. ↑ de Cleyre, Voltairine (1912). ↑ Taylor, Matthew (26 January 2010). "Ministry of Justice lists eco-activists alongside terrorists". The Guardian. London. http://www.guardian.co.uk/environment/2010/jan/26/ministry-justice-environmental-campaigners-terrorism. Retrieved 1 May 2010.